Richard Gasquet has won his appeal after testing positive for cocaine last March. (CNN) -- Richard Gasquet has been cleared of any wrongdoing by the Court of Arbitration for Sport after the International Tennis Federation (ITF) and World Anti-Doping Agency (WADA) failed in their appeal against the decision to overturn a ban he had received after testing positive for cocaine. The 23-year-old Frenchman had tested positive for the drug at the Sony Ericsson Open in Florida in March of this year and he was handed a provisional 12-month ban. But an ITF panel overturned the ban in July, accepting Gasquet's claim that the substance was only in his system due to him kissing a woman who had taken cocaine at a nightclub. The ITF and WADA chose to appeal that decision with CAS, seeking a two-year suspension, with the world number 47 attending a hearing last month. A CAS press release read: "The CAS panel decided to dismiss the appeals after having found that in this particular case Richard Gasquet had not committed any fault or negligence within the meaning of the ITF Anti-Doping Program." 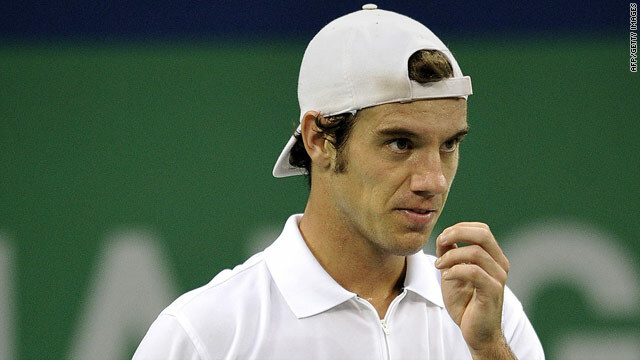 The CAS panel also accepted Gasquet's assertion of how traces of cocaine metabolite were found in his urine sample. The CAS statement continued: "The panel based its ruling on the evidence provided by the experts called by both the player and the ITF, who agreed that the amount of cocaine metabolite was so minute that it must have reflected incidental exposure, rather than use in the amounts commonly taken by social users of cocaine. "Furthermore, it was also established that the player was clearly not a regular cocaine user, even in very small amounts. As a consequence, the possibility of contamination became the most plausible explanation justifying the presence of cocaine metabolite in the player's urine. "On a balance of probability, the CAS panel concluded that it was more likely than not that the player's contamination with cocaine resulted, as Gasquet always asserted, from kissing a woman in a nightclub in Miami on the day before the anti-doping test and that the player had met the required standards of proof with respect to the way of ingestion."